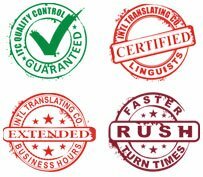 Why Choose International Translating Company? If you are a member of the life sciences industry, you know that to stay in business, the documentation pertaining to your product development and processes for testing must be accurate and complete, with no exceptions. As a result, you should utilize translation services offered by a team of professionals that are fluent in the source language of your documents and the languages targeted for the translations, and who also specialize in providing translations for the life sciences industry.